• Florida State Women’s Basketball head coach Sue Semrau prepares for her 22nd season with the Seminoles, taking the Top-10 program to enormous heights in her illustrious coaching career. 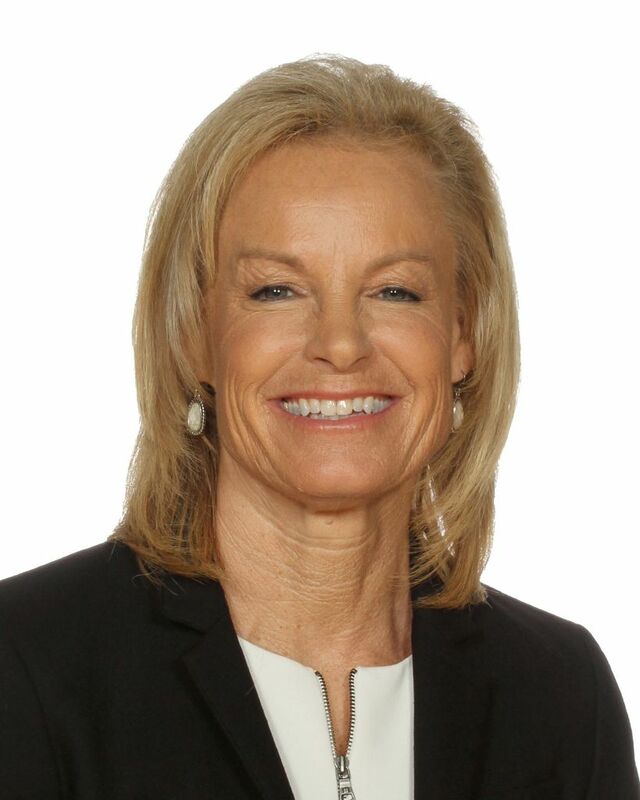 • “Coach Sue” has guided the Seminoles to 14 NCAA Tournaments, including three Elite Eight appearances in 2010, 2015 and 2017, five NCAA Sweet 16s in 2007, 2010, 2015. 2016 and 2017, won a pair of gold medals with USA Basketball and has seen 31 student-athletes earn academic all-conference honors. • Over the last 10 years, Florida State has averaged over 25 wins per season and had 15 players sign professional contracts either in the WNBA or with a European club team. Ten Seminoles have been selected in the WNBA Draft since 2009, most recently Imani Wright (second round by Phoenix Mercury) and Shakayla Thomas (second round by Los Angeles Sparks). FSU once had a stretch of three consecutive WNBA first-round Draft picks in Adut Bulgak (12th in 2016), Natasha Howard (fifth in 2014) and Jacinta Monroe (sixth in 2010). • Owns 12 20-win seasons as head coach of Florida State. • Recorded 25+ wins for the fourth straight season, as the 2017-18 Noles finished with a 26-7 overall record. • Won its 15th consecutive NCAA First Round game, defeating Little Rock – a streak that dates back to 1991. • Finished the Associated Press Poll ranked 11th, securing a Top-15 finish for four straight seasons to join just seven other schools (UConn, Notre Dame, South Carolina, Baylor, Louisville, Oregon State and Stanford). • Finished 4-0 against rivalry schools Miami (3-0) and Florida (1-0). Included in those wins was FSU’s largest margin ever vs. the ‘Canes (105-67) and its largest road win ever vs. UF (84-54). • Led by the winningest senior class in program history with 111 wins (Ama Degbeon, Shakayla Thomas, AJ Alix, Chatrice White and Imani Wright). • Churned out multiple All-Americans for the fourth consecutive year (Shakayla Thomas and Imani Wright). • Had multiple All-ACC First Team performers for the second straight year (Thomas and Wright). • Ranked in the Top 20 nationally in field goal percentage (20th), offensive rebounds per game (16th), rebound margin(sixth), rebounds per game (11th), scoring margin (10th) and scoring offense (13th). • Once again in 2017-18, Semrau partnered the Seminoles with Samaritan’s Feet, a non-profit organization dedicated to changing lives through shoe distributions around the world. Semrau annually coaches a game barefoot in an effort to raise money, and the Seminoles took a break from the 2010 Junkanoo Jam in the Bahamas to give back on Thanksgiving. • In the summer 2017, Florida State went to Bainbridge, Ga., to participate in a Samaritan’s Feet washing where coaches, student-athletes and support staff made a monumental impact to everyone involved. • Additionally, the Seminoles have been known to extend a helping hand when on the road, making visits to the Boys and Girls Club at the Coalition for the Homeless in Orlando and elementary schools in Harlem, West Chester and Wadsworth, Ohio and Martinsville, Ind., as well as the Duke Hospital in Durham, N.C.
• These efforts have molded countless Seminoles into superstars in the game of life following their hoops careers. Current assistant coach Brooke Wyckoff (Class of 2001) and Christian Hunnicutt (Class of 2011) each earned prestigious ACC Postgraduate Scholarships, while Vanessa Fuchs (Class of 2001) served as Interim Athletics Director at Florida State and is currently the Seminoles’ Senior Women’s Administrator. • Overall, Semrau has guided nine different players to All-America honors in her 21 years. • Semrau’s 405 career win total with the Seminoles more than doubles the second-most victories by an FSU coach (Marynell Meadors, 132), and her tenure has accounted for 14 of FSU’s 17 all-time NCAA Tournament appearances. • Semrau basically built the Seminoles from scratch, as she inherited a program coming off a 5-22 record in 1996-97 and hadn’t reached double figures in wins in four years. She has accumulated 42 AP Top 25 wins in her 20 seasons. When she arrived in Tallahassee, FSU had not won vs. a nationally-ranked team in the previous four seasons. • FSU had only four 20-win seasons before Semrau guided the Noles to six 20-win seasons over a seven-year stretch beginning in 2004-05. She has now led the Noles to 12 20-win campaigns through 21 seasons, including a 32-win season in 2014-15. • Coach Sue is the Godmother of assistant coach Brooke Wyckoff’s daughter, Avery (4 ½).